After the last game of the tournament is over, the director goes to the the tournament template setup section and clicks the link to turn results on. 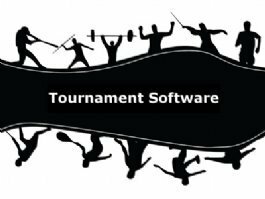 The tourney bracket maker creates a results summary listing all of the divisions in the tournament. Clicking on the linked division code in the division column will take the user to that bracket. Basic division information is also listed such as the division name, number of players, and bracket format. The tourney bracket maker displays the pictures of the champion and the runner up if they have a player profile picture. Places can be listed out to the round of 16. In sport organizations where R2sports handles their rankings, there will be a new link after results are activated to submit tournament results for rankings.